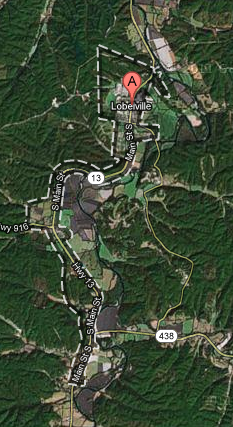 Tennessee Wireless is pleased to announce the purchase of OrbWireless in Lobelville, TN. Orbwireless has been serving the Lobelville community for several years and we are happy to incorporate them into the Tennessee Wireless network. Over the coming Months we expect to upgrade and expand the network in Lobelville to serve more of the town’s residence with faster speeds and more reliable service. For more information about service at your home or business in Lobelville, please contact us . We are pleased to announce High Speed Internet Service is available north of downtown, in what has previously been a broadband dead zone. Totty’s Lumber Company worked with us to install a service tower at the lumber yard and we are now able to cover a significant number of homes that previously had no broadband Internet service available to them. This tower will have an immediate range of about 3 miles with good line of site and the potential to serve well situated houses at a much further distance. This means that any house or business on Highway 100 between the Sonic and the Fairfield area should give us a call if they are interested in high speed broadband Internet service. Look for an updated service map coming soon. Be sure to stop in at Totty’s and tell them thank you for their contribution in bringing Air Fiber to Hickman County! Tennessee Wireless is pleased to announce that our first fiber link to the World Wide Web has been installed and is fully operational. All Tennessee Wireless customers are now enjoying the added benefits of a high quality fiber internet connection that is beamed directly to their home or office via advanced wireless technology. Interested in high quality fiber internet, with no download limits and no long term contracts? Check out how to Get Started. To see pictures of tower and home wireless internet installations we have done around Hickman County, Tennessee, please view our Picasa Photo Gallery.